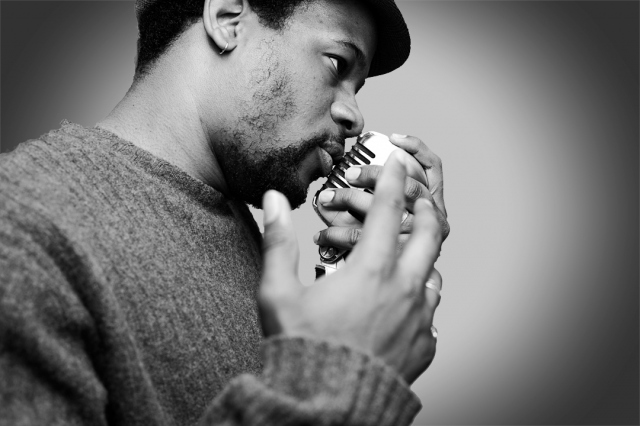 Originally hailing from Chicago, rapper Open Mike Eagle has been carving out a niche on the west coast independent hip hop scene for a few years now. Mike’s crew the Swim Team is the next generation of Cali’s legendary Project Blowed collective, but lately his work has been putting him in a class all his own. Since the release of his strong sophomore album Rappers Will Die of Natural Causes last year, Mike has released two stellar EP’s to prep for his upcoming LP in June. “5ree Thinkers” is the first track off his latest EP Rent Party Extension and has quickly become one of my favorite Open Mike Eagle songs. Mike has always had something to say on the mic, but his style has become more distinct and nuanced on recent material and 5ree Thinkers might be his most evolved song yet. Open Mike lets listeners know he’s “on that free thinking double talk, my peoples out there like NASA space shuttle walks”. It’s this type of attitude and self-awareness that has helped Mike cultivate a style all his own that is becoming more insightful and artistically fragmented with each release. In the third verse, Mike even references an episode of the classic live action sitcom “Dinosaurs,” stating that it contained the explanation for all the secrets of the world. Heady stuff Mike, heady stuff. Grab a free copy Open Mike Eagle’s Rent Party Extension EP. Thanks, this is only the beginning. 2012 has been the best year for hip hop in a long while and there’s a lot of great stuff still to come.